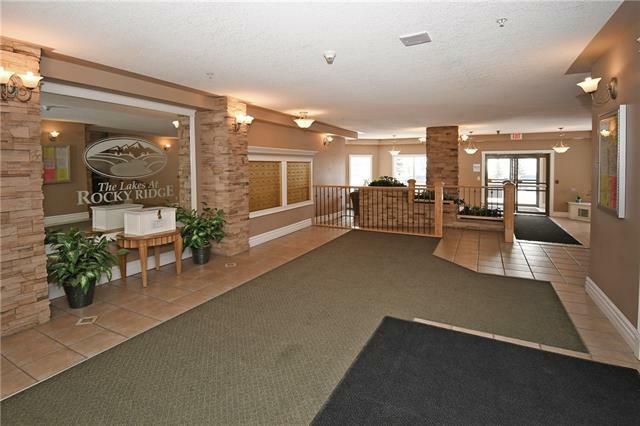 A great main floor two bedroom unit in The Pavilions at Rocky Ridge.Close to the Tuscany LRT stop, shopping, & the new YMCA! Building can access conveniences such as gym, theatre, hair salon, party room. 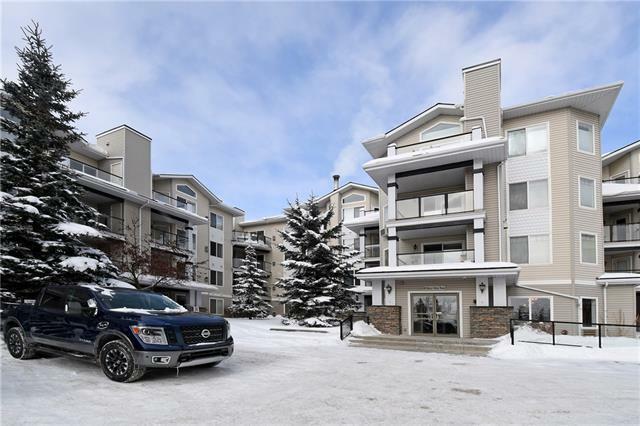 The condo is on the inside courtyard facing east. It has a a four pce bathroom & a 3 pce ensuite on the way thru to a walk in closet. Middle common are is the living room with the kitchen & nook to the side. Laminate flooring throughout & tile in bathrooms. 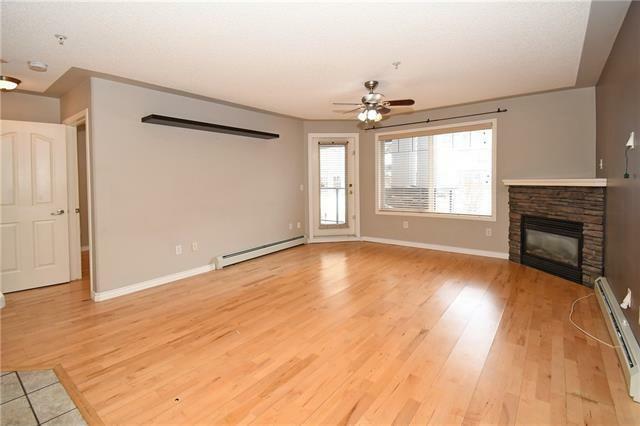 Quiet location with a deck at the front plus some closed storage off the deck plus gas BBQ hook up. Titled parking stall #213 in the basement near the recycling area. 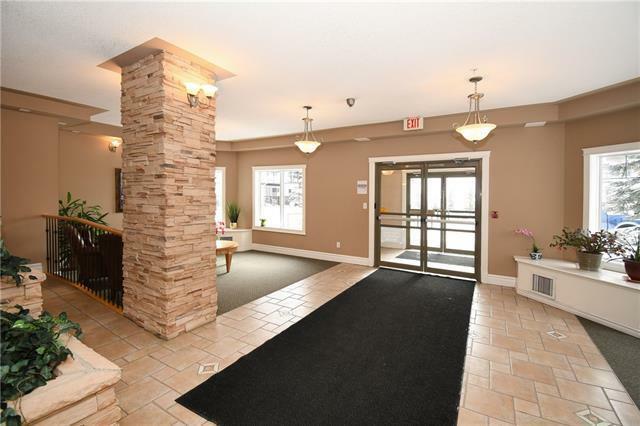 Wide open foyer into building.Come & see!